I hope you'll NEVER see the Dream Clinic! 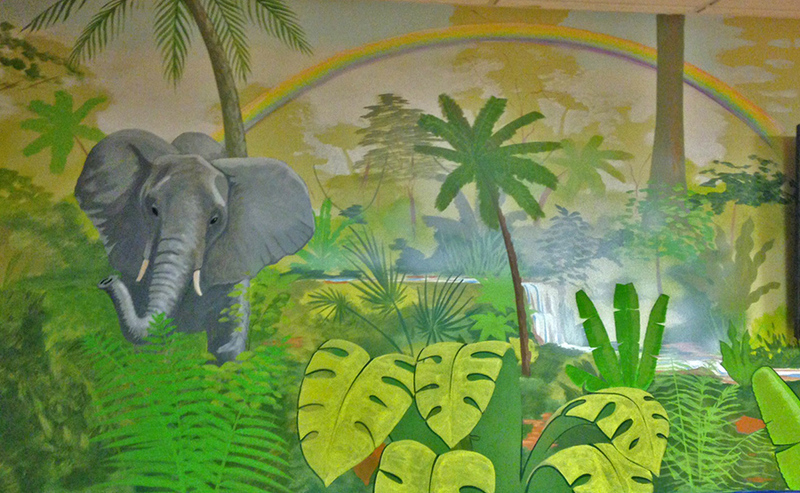 Other than on my website, I truly hope you will NEVER have the opportunity to see my recent efforts at Children's National Medical Center. The DREAM CLINIC is complete and it will serve to help hundreds and hundreds of children and their families as they grapple with their struggle against cancer and blood disorders. 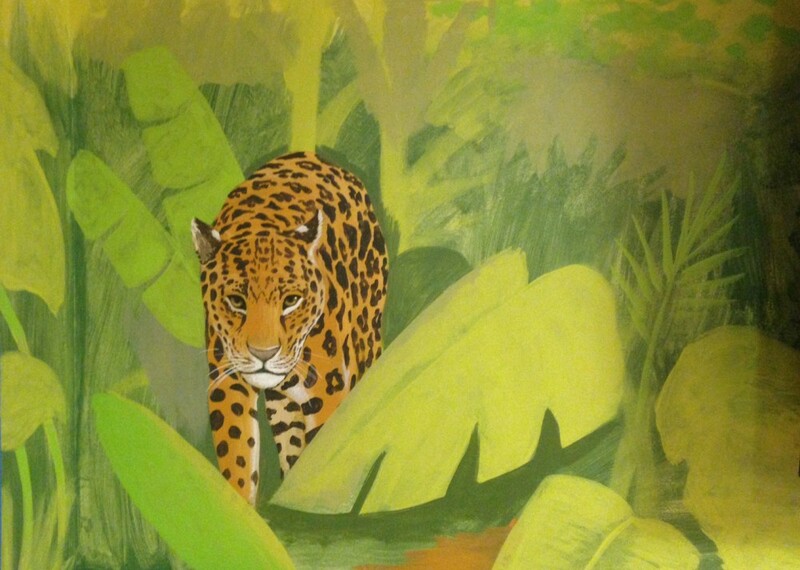 I hope you'll never see the tiger in the waiting room. 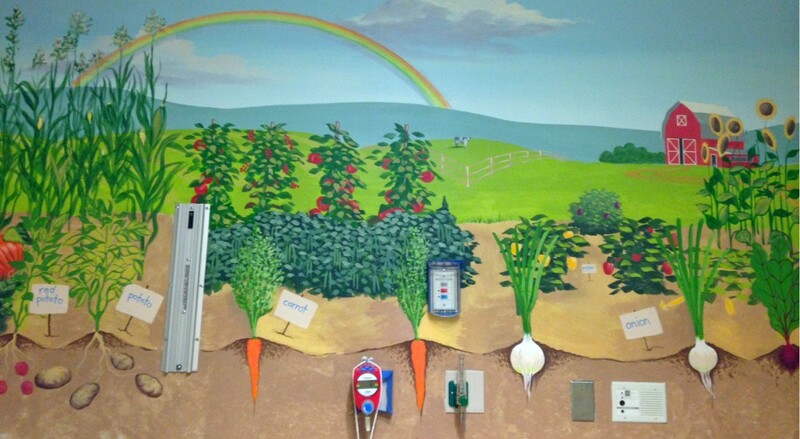 I hope you'll never have the chance to find the hidden objects in the eight different treatment rooms where children go for hours to receive their chemotherapy. I hope those who are there find solace in the rainbow that hovers endlessly over the cascading waterfall in the waiting room. 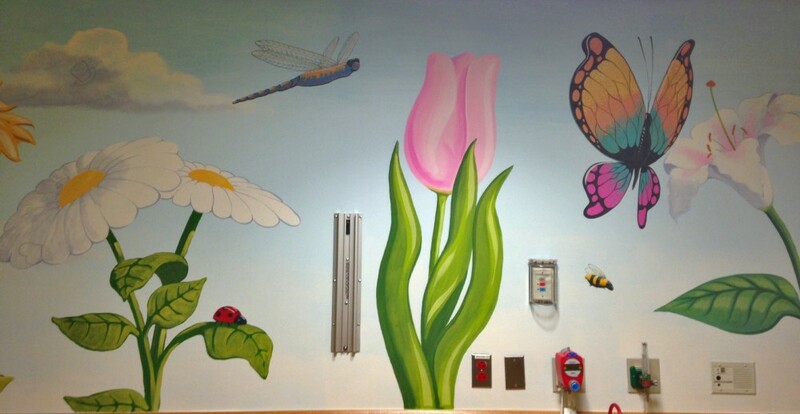 I hope the kids can imagine the path of the butterflies that adorn the walls. I hope that my paint, my brushes and my imagination and efforts can transport them away from the treatment and the situation - if only for a little while... Those are my hopes.